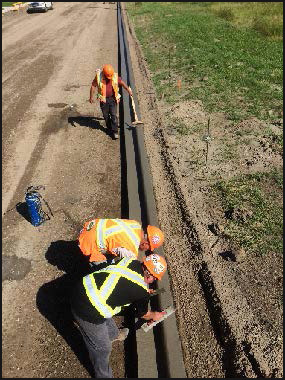 The 2017 Leduc Capital Works Project was a rehabilitation project in the City of Leduc with three Locations.42 Street – Involved road widening, hydrant extension, milling and asphalt overlay. 45 Street – Spot repairs for curbs and commercial crossings, Spot Base repairs, mill and overlay. 47 Street and 47 Avenue – Full road reconstruction with Cement Stabilized Subgrade, Sanitary mainline replacement and relining, concrete curb and sidewalk replacement, asphalt mill and overlay. 42 and 45 Streets are arterial corridors in Leduc’s Industrial area. 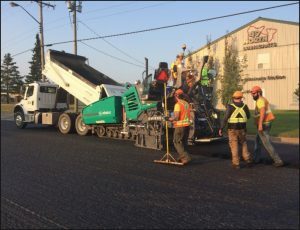 Carmacks accommodated the high daily traffic volumes and 24 hour business access by completing milling and paving operations over night. 47 Street and 47 Avenue required road closures, pedestrian and residential waste collection accommodations for the local residents. The area was primarily residential with residents requiring continuous access to their homes.